The Raw side of the upcoming Survivor Series elimination matches are starting to take shape following tonight’s Raw. The opening of tonight’s show had acting Raw General Manager Baron Corbin name himself the captain of the Raw men’s Survivor Series team, while also naming Alexa Bliss the captain of the women’s team. He also named Braun Strowman, Dolph Ziggler and Drew McIntyre as members of the men’s team.He noted that neither he or Bliss would be wrestling in the match. Kurt Angle came out and said that he wanted to captain the Raw men's team, noting that he did it last year. Eventually, a match was made between him and Baron Corbin where the winner would become the captain. After Corbin was forced out of the arena due to the looming presence of Braun Strowman, it was changed to a match with Angle taking on Drew McIntyre. McIntyre ended up destroying Angle, finishing him with an Angle Slam and submitting him with the ankle lock. 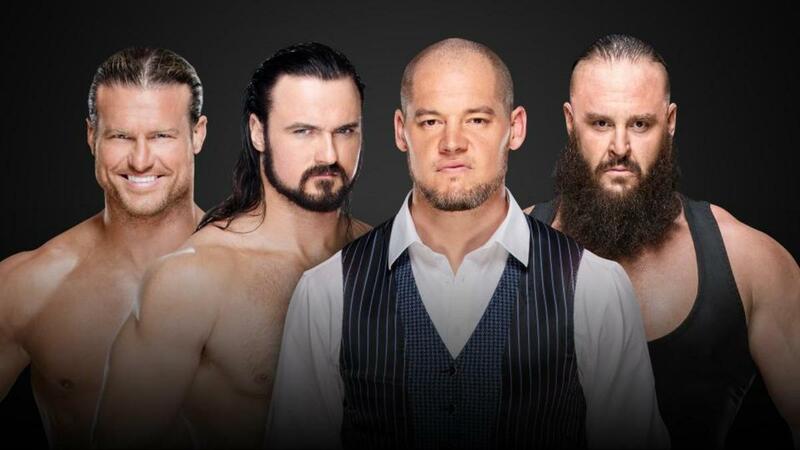 It seems that based on the outcome, Baron Corbin is still the team captain. It was announced shortly before tonight’s main event that Alexa Bliss would name participants in the Raw women’s team next week.